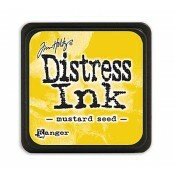 Featuring the same acid free, non-toxic, water-based dye ink formula used in the full-size pads, but in a smaller stackable 1" x 1" pad. 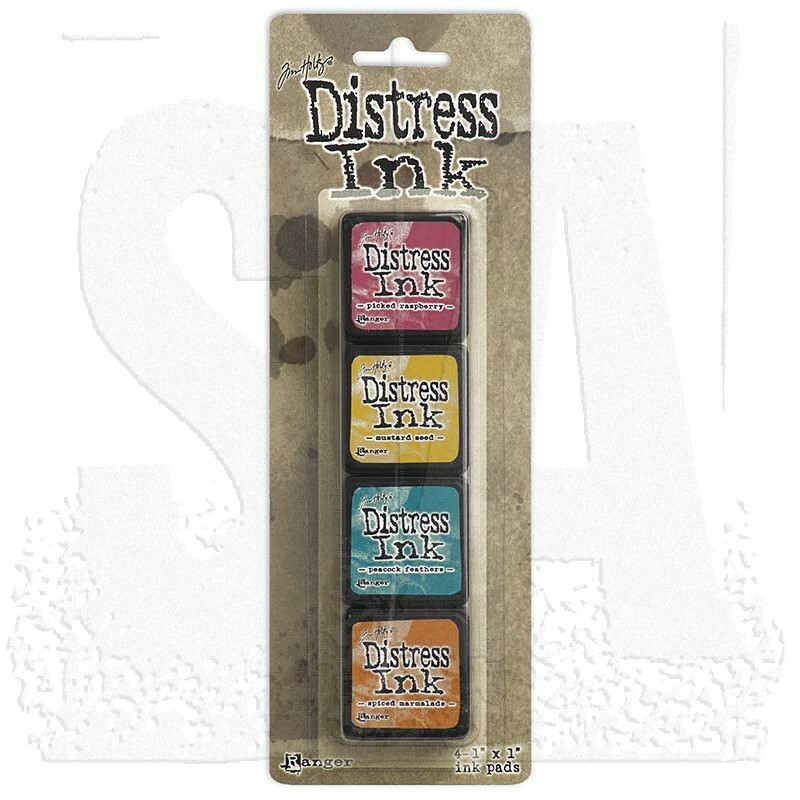 Four mini ink pads per set. 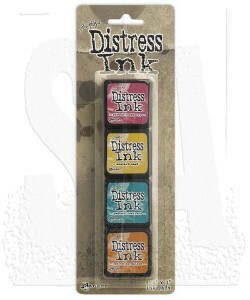 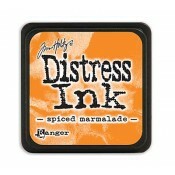 The raised pad makes it easy to use on smaller craft projects and can be re-inked with Distress Ink Reinkers. Kit #1 includes: Picked Raspberry, Mustard Seed, Peacock Feathers, and Spiced Marmalade.